The Horror Duo take on a pair of films - finally completing two fan favored franchises. Forest returns to the wonderful world of worms with Tremors: A Cold Day In Hell. Cory shares his thoughts on and interpretation of Phantasm: Ravager - the Phantasm finale. The Horror Duo also chat about dragging an old friend to their screening of Killer Workout, which was a breath of fresh air for them. 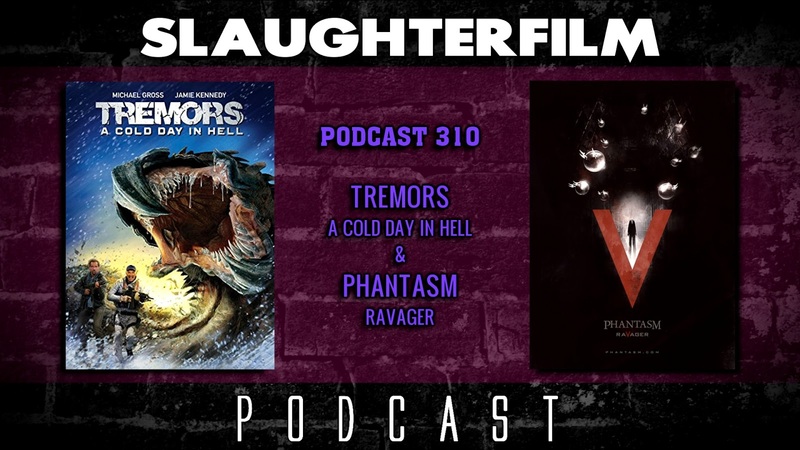 They chat about what it is to "have an agenda" when selecting films for Slaughter Film Presents. All this and together they ponder what will become of the new Kevin Bacon Tremors show if Netflix twists it into a Cloverfeild vehicle. For more Slaughter Film news and reviews, as well as show notes and special events, make sure to visit our website; SlaughterFilm.com.